September the 8th every year marks World Physical Therapy Day. The day offers a chance for the physical therapy community to come together in unity and solidarity and recognise what we can do for our communities. This year the campaign message is Physical Therapy and Mental Health, with the aim of demonstrating the role that physical therapy and exercise have in mental health. This is a lesser known area of physical therapy and is equally important as any other. 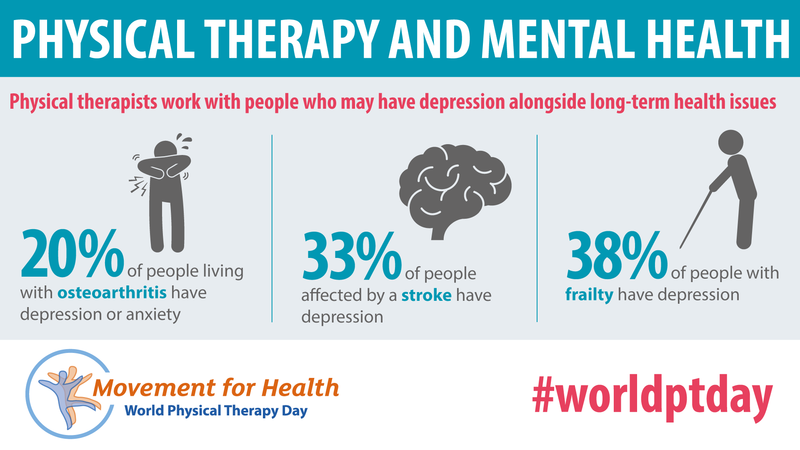 As physical therapists we can have a life changing impact for those with mental health conditions. Just take a look at the Physiopedia page linked to below to see the positive effect exercise can have for our patients. Exercise as an evidence-based treatment for depression. The role of physical therapists working with patients who may have mental health issues. The benefits of physical activity in protecting against the emergence of depression. How better outcomes are experienced when exercise is delivered by a qualified healthcare professional, such as a physical therapist. How people with mental health issues are more at risk of having poor physical health. What Can You Do to Take Part and Support World PT Day? The WCPT have produced a variety of social media images which are available for free which you can use to spread the word. There is also a hashtag to follow and contribute to on Twitter, Instagram and Facebook #WorldPTDay. Also don’t forget to follow WCPT on Twitter and retweet their messages. If this wasn’t enough the WCPT have produced a toolkit of materials to support us all in World PT Day activities. Many therapists throughout the world will be hosting events so make sure you show support and get involved. If you need any ideas then the WCPT have produced a leaflet to help spark that creativity. If you are planning any events as part of #WorldPTday we would love to hear from you via social media! Want to Learn more about Mental Health ? 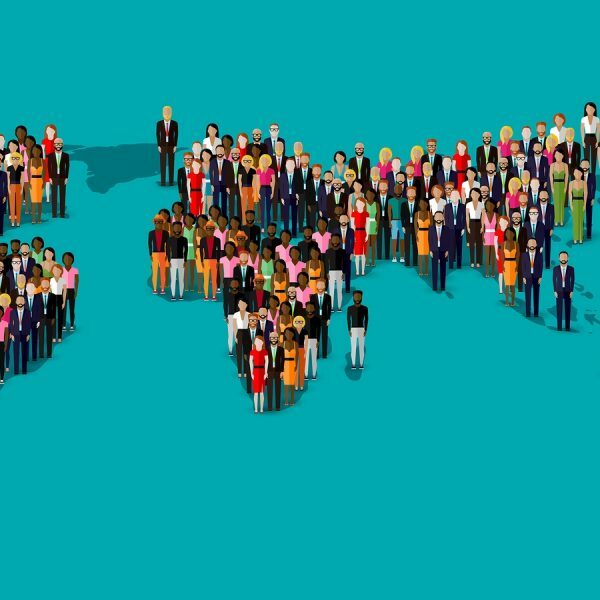 Global Health is fast becoming a priority of all health organisations. Get ahead of the curve, take part in this course and help improve health around the world.